MLS Systems can build your thermoformer in any configuration you need and has the capability for control upgrades. 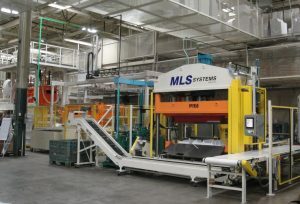 The thermoforming system provided by MLS Systems will be custom designed to your specifications. 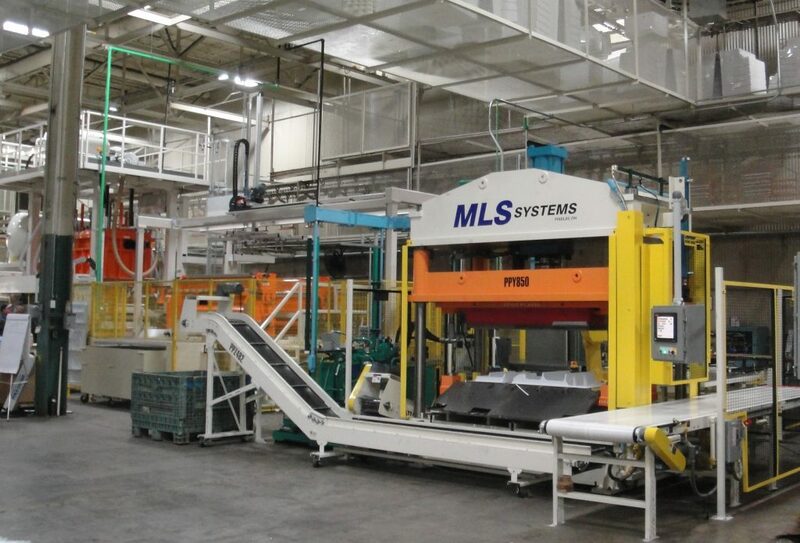 MLS Systems has provided thermoforming systems and related equipment to many of the top appliance manufacturers. Our systems feature a combination of both Vacuum and Blowforming capability. 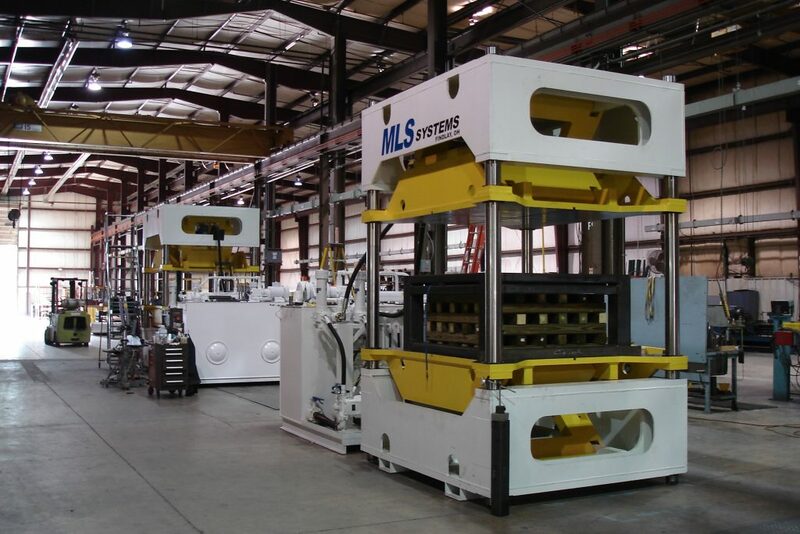 MLS Systems has built thermoforming systems with up to 100-PSI pressure forming capability. MLS Systems can provide either hydraulic or servo-actuation for the main sheet transfer and form station platens. MLS Systems has built all types of ancillary trimming and piercing equipment to accompany our thermoformers. 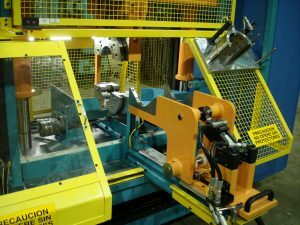 We can provide: hydraulic and servo controlled “L” shears, box shears, straight shears, corner nips, up-acting and down-acting shears, toggle action shears, liner routing systems, and press style liner door trimming and piercing equipment. 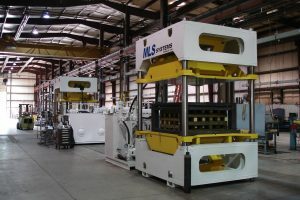 MLS Systems also provides all types of liner transfer equipment. 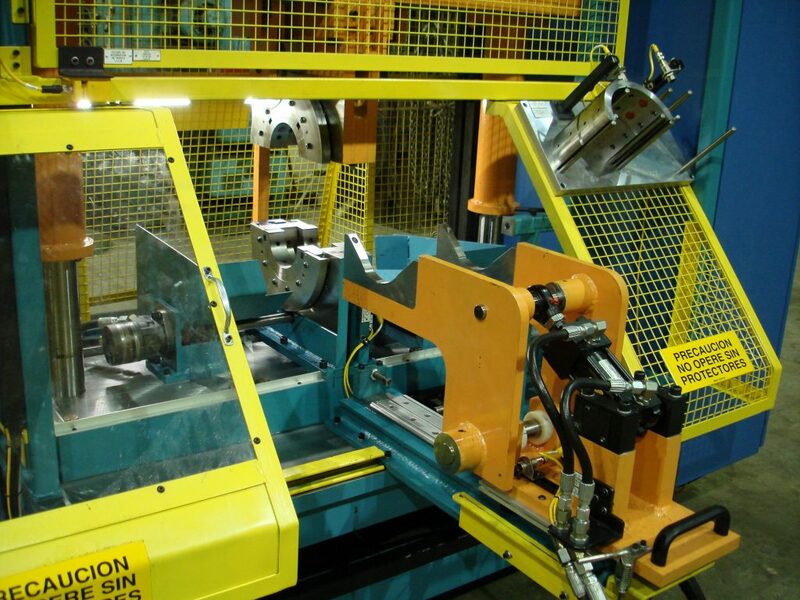 MLS Systems can provide both in line and off line trimming and piercing capability. For more information please see our web page highlighting our trim and pierce equipment capability.